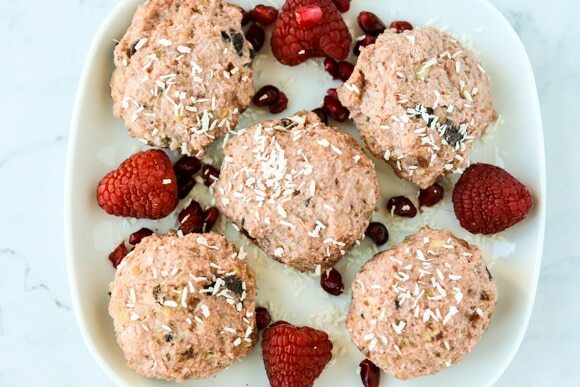 Fat bombs are the latest no-bake cookie craze to hit the blogosphere. This version of Paleo Coconut Fat Bombs are grain-free and so satisfying! 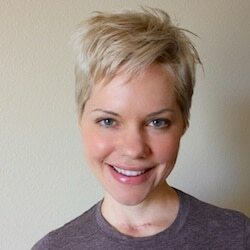 How Can Fat Bombs Really Be Healthy? I debated about using the whole fat bomb name for this recipe, but it’s probably a good description. As a child of the 1970s and ’80s and the whole fat-free fad, I guess I still cringe at the idea of feasting on fat. But, I’m finally getting it through my thick skull that there are good fats and bad fats. Maybe this topic deserves a whole blog post? I’m most definitely not a keto dieter (see my reasons why in this blog post), but I’m am a huge believer in adding more fat to a real food diet to increase satiation, enhance nutrient absorption, and because fat just makes vegetables taste so much darned better. And, fat with cookies works the same way, ha ha! The cinnamon adds flavor and the beet powder makes them sooooo pretty (and perfect for Valentine’s day, just sayin’)! So you’ll notice there are no grains in this recipe. That’s what makes it a paleo-friendly recipe, plus the fact that I used dates to sweeten with no refined sugars. In terms of technique, fat bombs get made the same way as energy bites, you just pour the ingredients into a food processor and let the blade do the work. Then, you just use your hands to roll them into about a dozen balls or about 8 bigger cookies like the ones I made here. They’re no-bake, too, so you really just have to let them chill in the fridge or freezer to firm up. 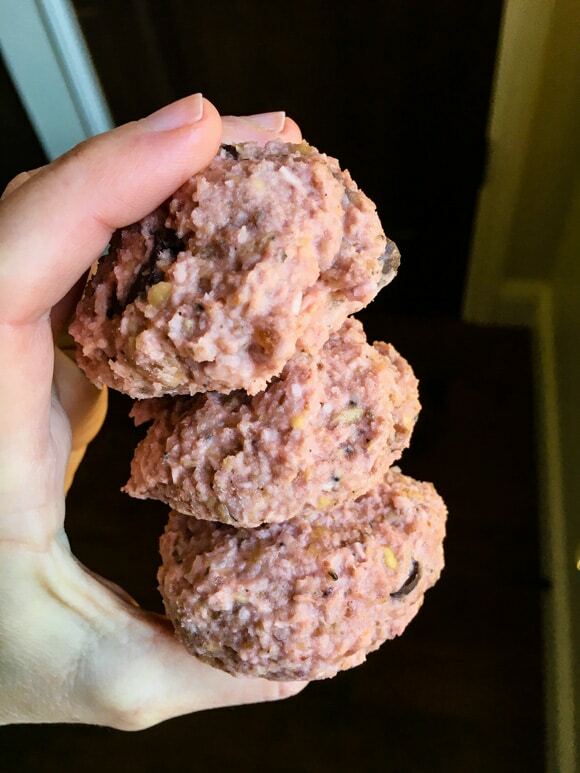 If you like these types of no-bake energy cookies, you should download my free energy bites e-book! Get it for free when you sign up for my weekly newsletter here. A no-bake paleo cookie that is delicious and satisfying. 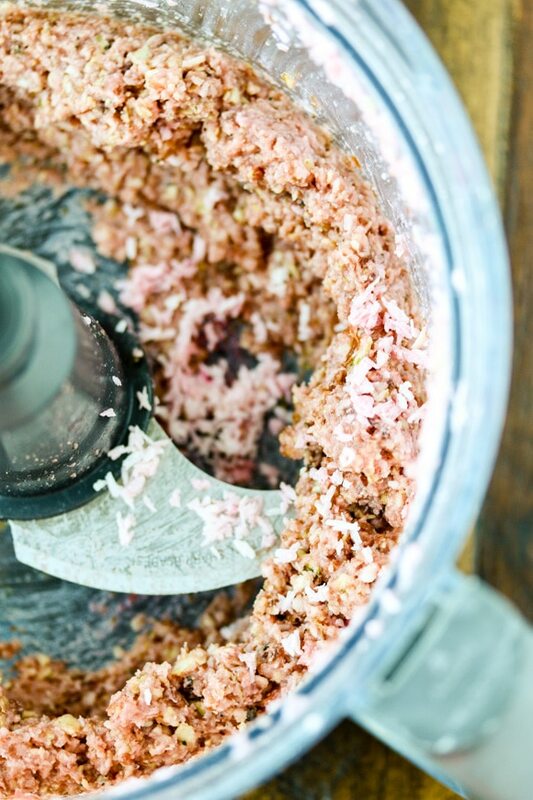 Add the macadamia nuts, pumpkin seeds, coconut shreds, dates, chocolate chips, cinnamon, beet powder, almond milk, and coconut oil to the base of a food processor fitted with an S blade. Process on high for about 1 minute until the ingredients are combined. Use your hands to form the batter into 12 balls or 8 cookies. Chill in the fridge or freezer for at least 30 minutes to one hour before serving. Store in the fridge and consume within 7-10 days. 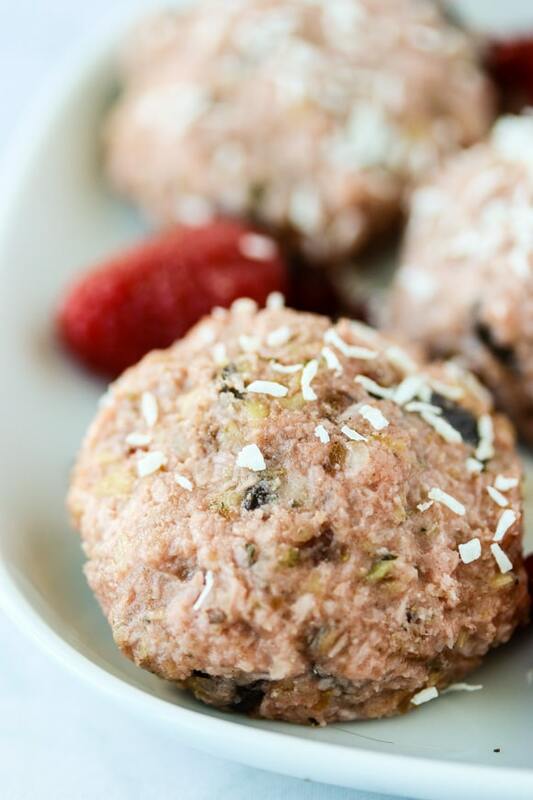 Pin this Paleo Fat Bomb recipe to save it for later! Thanks, Debbie! LMK how they turn out for you!!! 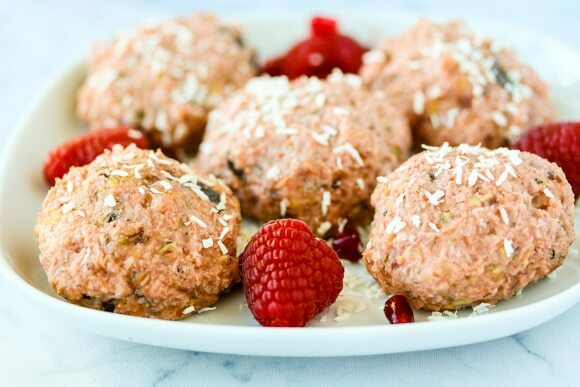 I’m not a keto dieter either, but these little balls look like they’d be very tasty and filling — something I could use as I try to get back to a healthier eating plan. These look fantastic! I have not used beet powder yet and I am so looking forward to these ‘cookies’. Love that they’re flourless too! I love anything that has coconut or dates and this has both!! Love how easy these are to make. I must look for the beet powder too.. This sounds incredible.. Saving for later. These sound like such great snacks! These would be good to pack in my lunches. I like the pink colour the beet powder gives them. Thanks, Kimmy, and happy almost Valentine’s Day! 🙂 XOXO. As a former Mcdougall follower, I still struggle with eating fat. The fat you eat is the fat you wear is what I remember in his diet books. I have since added fats back in but I feel guilty about it. I still follow a vegetarian diet & appreciate his view but for my brains health I began to consume fats & found my thinking far clearer. My fats generally come from avocados, nuts, olives & coconut oil. Thanks for sharing that, Paula. It took me a long time to get over the fear of eating fat, too. I think it’s great that you’re experimenting to see what works for you. I do that too. XO. I am a huge fan of fat bombs….so satisfying without the sugar!! Oh yum! Love the beet powder in there for a little extra nutritional boost plus pretty pink color. 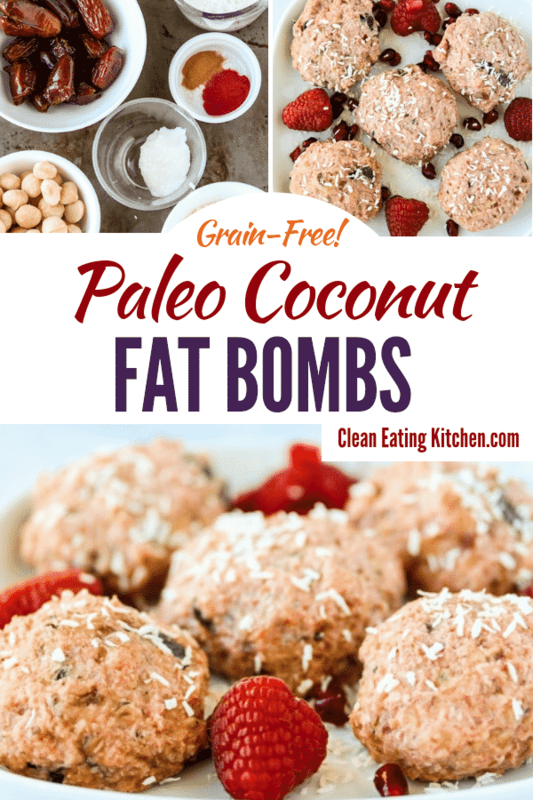 Yum, I’ve been on the fat bomb train lately and these look fantastic! I really need to try out beet powder because it sounds delicious. So easy to make! Gott try asap! Love anything no bake AND grab and go! Easy quick and healthy snack for the kids that they will actually like. I like how nutrient-dense yours are!! SO full of great ingredients and even protein and fiber; delicious!!! Must make, thank you! 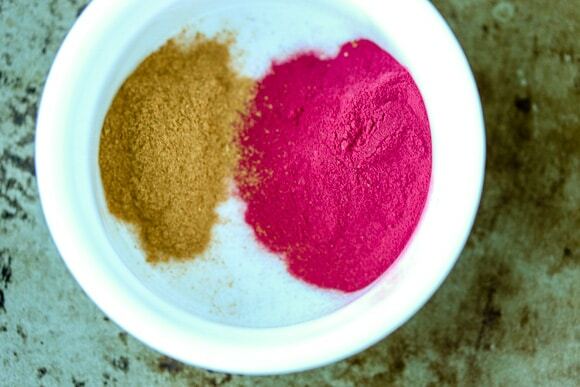 Love that bright pink beet powder! Yum! I love macadamia nuts and they lend such a deliciously creamy, rich texture to ‘paleo’ treats! 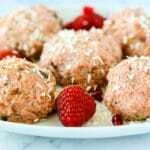 Ooh, love the combination of macadamia nuts and beet powder in this recipe! Delish! I love coconut and these are a perfect treat! I bet these taste fantastic! What’s not to love?? I’m especially excited about beet powder! I wouldn’t have thought of that! Right?! I’m glad you liked the name, Tatiana!!! XO. 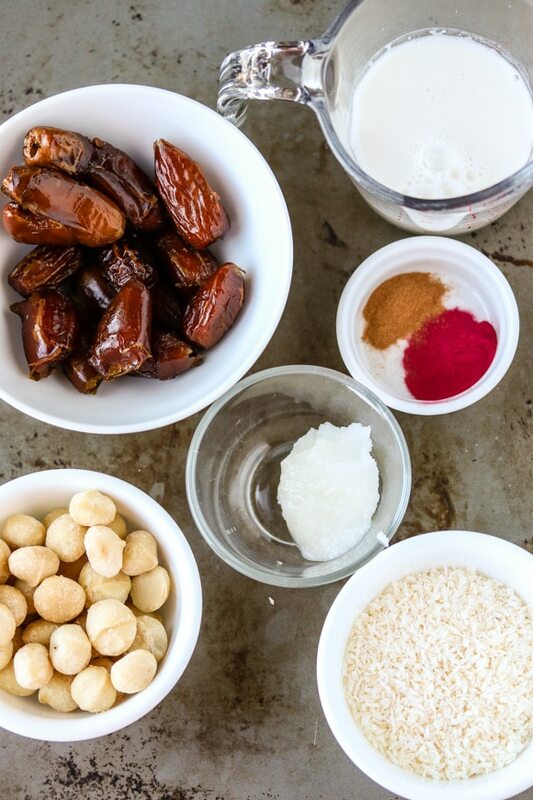 Honestly, I will eat anything with macadamia nuts, but this whole recipe is swoon worthy. And that beet powder is just genius. Love it!